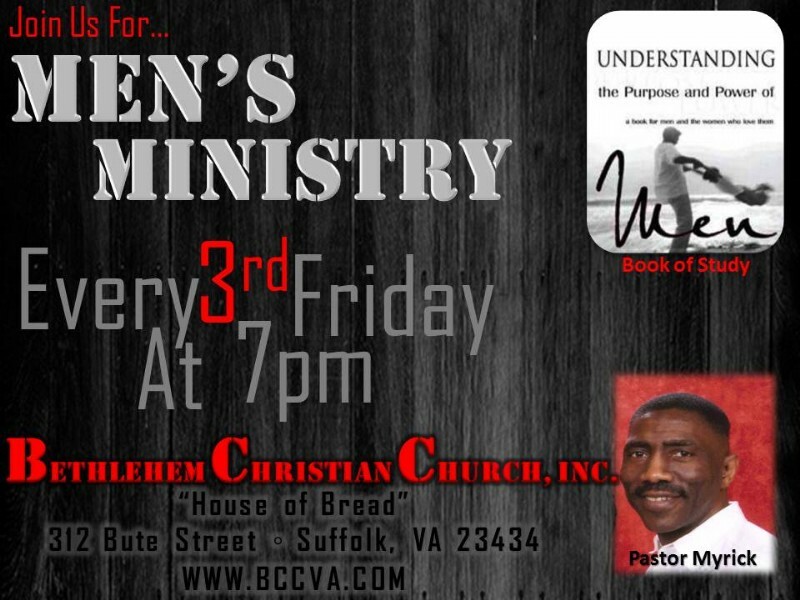 The purpose of the men's ministry is to enhance the spiritual, emotional, physical and recreational needs of the men so that they may fulfill God's call on their lives. This ministry is designed to help men understand their role as the Priest in their home as well as a leader in the church and community. The men's ministry is also a place of refuge where all men can talk about their issues in a safe and confidential environment.